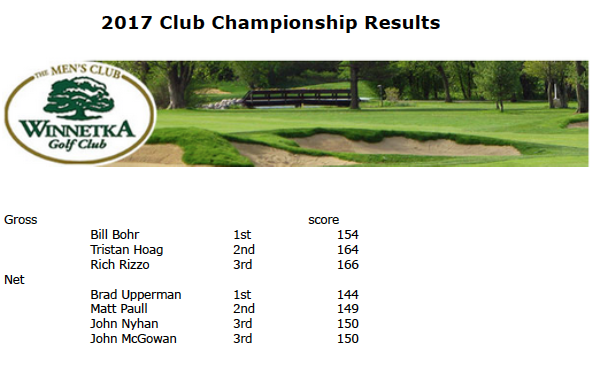 The 2018 Club Championship was held September 15-16. 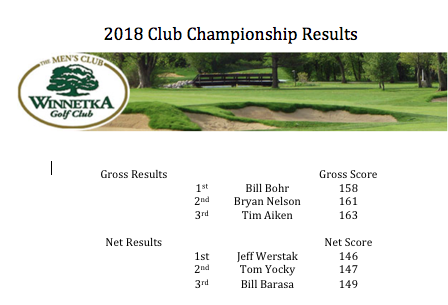 Congratulations to our Club Champion Bill Bohr on a two day total of 158 to take the gross title (this is Bill's 5th title in a row) . Bryan Nelson finished second (161) and Tim Aiken (163) third. Jef Werstak won the net division with a two day net total of 146 ( 4 over par).